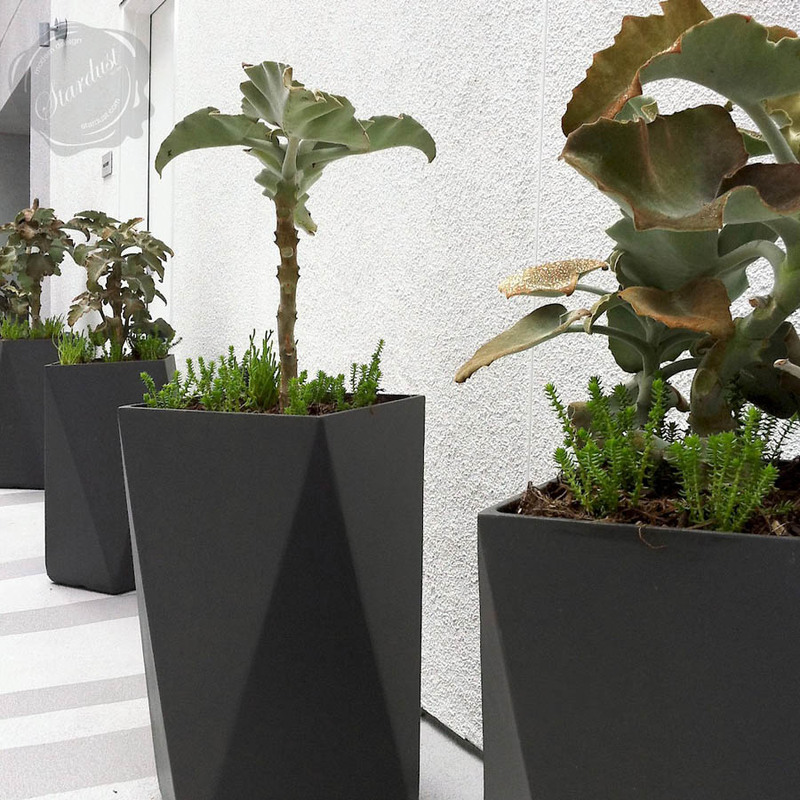 28" Tall Square-Shape (Multifaceted) Modern Outdoor Garden Planter - Tall Planters - Grey/Anthacite Square planter pot - modern design - 28 inches tall. 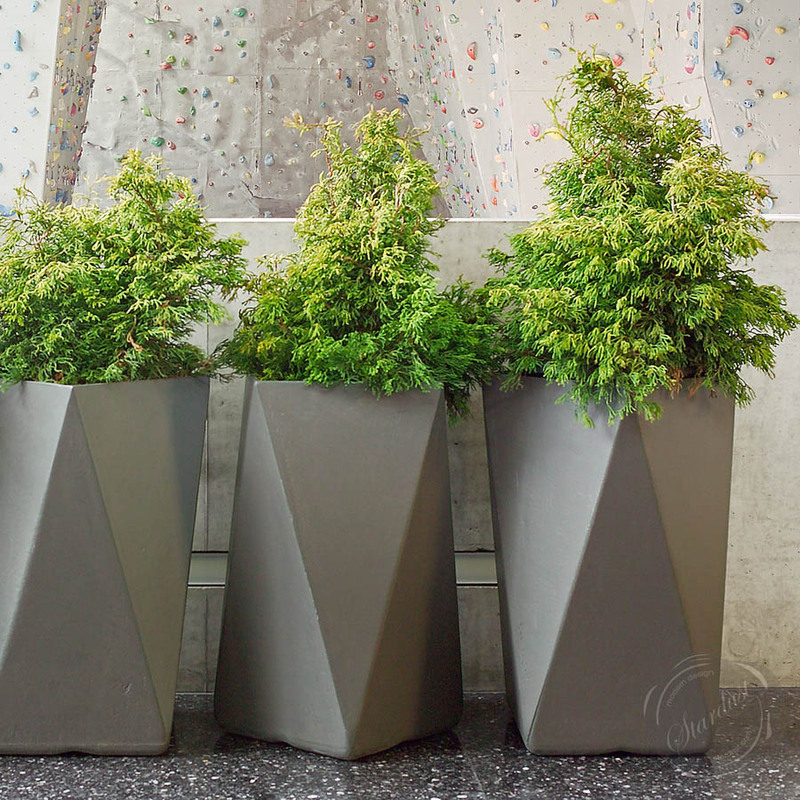 Tall square plant pots, modern, crafted in natural-grey or anthracite precast concrete - outdoor/indoor. Visually, these planters have a unique triangulated 'diagrid' form - a refreshing new shape when compared to conventional square planter boxes. The attractive triangular arrow-shaped design was perhaps inspired by Foster + Partner's Hearst Tower in New York City. 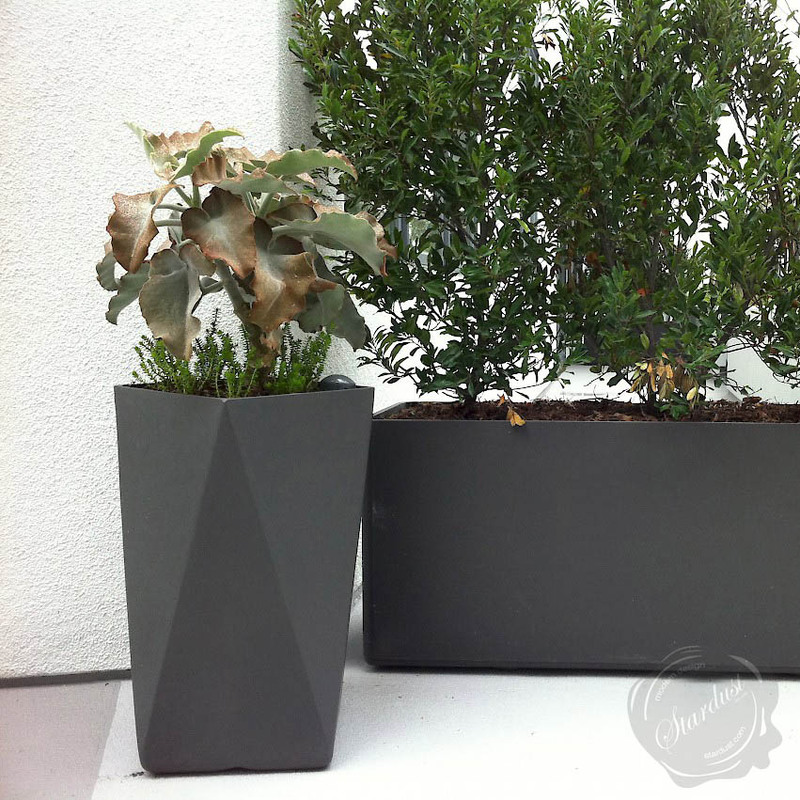 28" Height Modern Outdoor Eco-Concrete Planter Box, Grey or Anthracite. 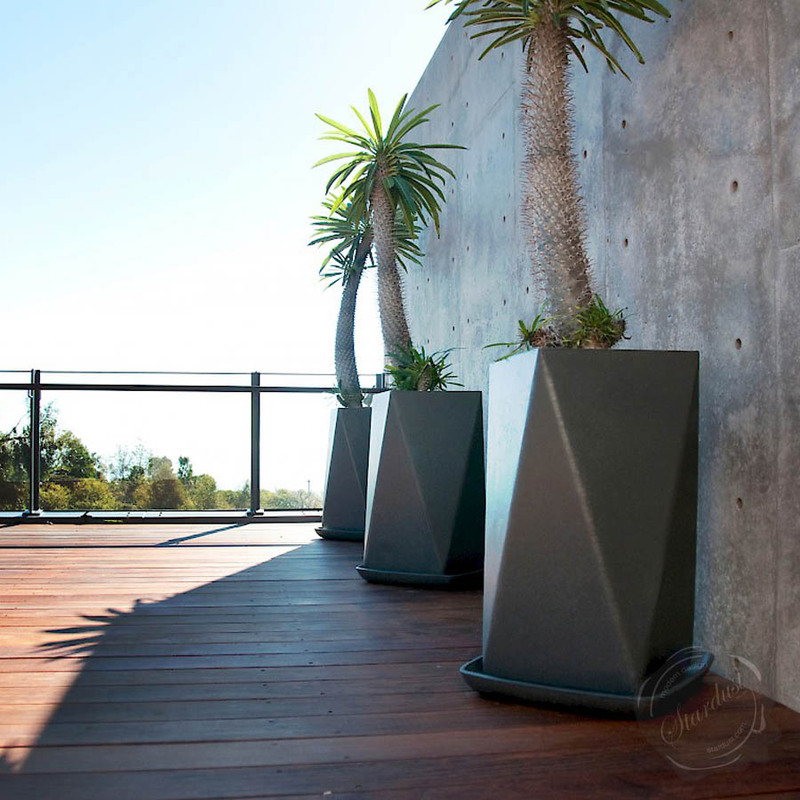 Each planter is a "one off" unique piece, made from eco-friendly recycled fiber cement (concrete). No two of these will every be exactly alike. Please note that due to this peculiar uniqueness, customer must be able to accept minor imperfections that are normal for unique hand made objects. This planter comes with a pre-drilled drainage hole. Made of fiber cement, a fiber enforced concrete. Durable yet lightweight compared to concrete. Resists fading and does not readily conduct heat. Designed for outdoor use, but looks great indoors as well. Suitable for both residential- and commercial applications. Overflow & water reservoir to ensure optimum water supply. Frost-Proof for use in sub-zero temperatures. Square modern design. Grey or anthracite finish.